Lynn has overcome Thyroid cancer, walked on 40 feet of burning hot coals, and successfully run her own business for 17 years. None of this compares, however, to the personal challenge she set for herself of going way out of her comfort zone to experience life, and perform at levels, she never thought possible. 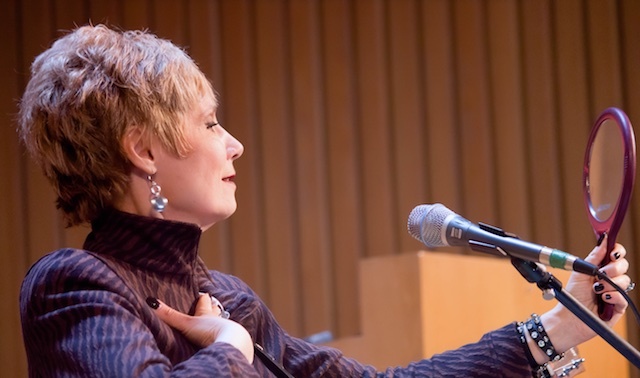 This process helped her, at midlife, to leap from being a successful corporate time management consultant to being a Rock ‘n’ Roll singer, Amazon #1 bestselling author and a keynote performer! 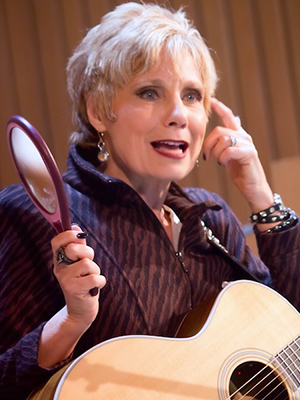 And Lynn can teach your audience to perform at levels they never thought possible, too! Lynn’s highly-transformational keynote performance will arm your attendees with the process to Unleashing Their Inner Superstar and recognizing that it’s never too late to realize your full potential for greater success and happiness in business and life! I UNLEASHED MY INNER SUPERSTAR! Get this — in a moment of madness – I answered an ad to be a singer in a Rock ‘n’ Roll band after not singing for 35 years. When I did it, everyone wanted to hear HOW I did it, and wished they could live their dreams, too. I realized there are so many people who feel they could play a bigger game (get on a bigger stage), contribute more, and make a bigger difference in their business and life. They have these big dreams in their career or life, yet they often never get to fulfill any of them due to fear, lack of self-worth, or perhaps the negative voice playing in their head. I created this unique, soul-energizing, transformational keynote just for them. I ultimately help people tap into the missing ingredients that prevent them from experiencing a spectacular outcome in life or in business. I help them Unleash Their Inner Superstar, so they can literally become who they want to be or fulfill who they were born to be. In a nutshell, – I move them from I CAN’T to I CAN in 30 to 60 minutes. How do I accomplish this? 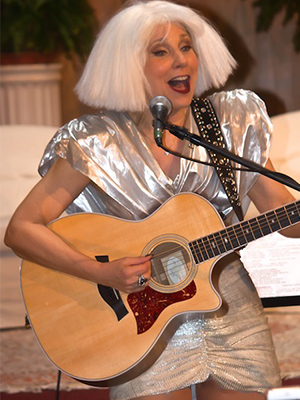 – I not only use my own story and song lyrics to teach about transformation, but I physically transform before the audience’s very eyes with an eye-popping costume change that allows me to Unleash My Inner Superstar (in my case, Lady Gaga) and drive home the message that we all have hidden gifts and talents within us, we just need to let them out! I work hand-in-hand with organizations to custom tailor their message with mine, so that through my transformational keynote, their message will be delivered in a remarkably memorable way. 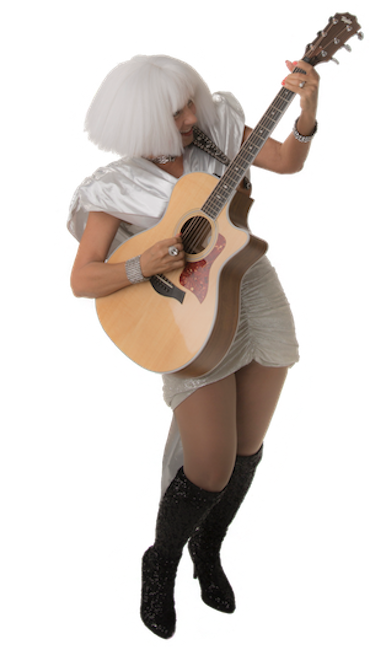 The common result & benefits of my keynotes are standing ovations, tears, many photos with me as “Lady Gaga”, and audience testimonials on how they transformed, followed through on their dreams, and achieved new levels of passion, performance, and courage in business and life. Get this… in a moment of madness – I answered an ad to be a singer in a Rock ‘n’ Roll band after not singing for 35 years! When I did it, everyone wanted to hear HOW I did it, and wished they could play a bigger game and make a bigger difference in their business and life. So, I decided to do something about it… I created this unique, soul-energizing, transformational keynote just for them. As the founder of All About Time, I help CEOs and professionals manage their time, optimize their productivity, and make room for unbridled success in business and life. I also developed and facilitated training programs on productivity, time management, organization, goal setting, and personal development. As a self-proclaimed “Performanizer”, I combine my strong credentials in keynote performance, self-motivation, and personal development with equally strong business background, outstanding time management skills, and process development expertise, to help people step out of their comfort zones, risk new levels of passion, performance and courage. In other words, Unleash Their Inner Superstar, so that they can realize their full potential in business and life. As the founder of All About Time in 1999, I combined a strong business background with equally strong credentials in personal development and motivation. All About Time was a way of bringing together the two things I was best at and enjoyed most: organization and personal development. All About Time has a diverse client list, and has been featured in national magazines, books, newspaper articles, and television. Graduate of the inaugural class of Certified Professional Organizers – I earned the prestigious designation of Certified Professional Organizer® (CPO®) from the Board of Certification for Professional Organizers (BCPO℠). This distinction places me among the top 5 percent of organizers in the country. In addition, I received coach skills training from the Coach Approach for Organizers™. In the training field, I’ve developed and facilitated programs on productivity, time management, organization, goal setting, and personal development. I was trained by Anthony Robbins as a facilitator for Mastery University personal development workshops and events; and by John Gray, Ph.D. as a facilitator for Men Are From Mars, Women Are From Venus workshops. I am also a graduate of the Covey Leadership Program and the LifeSpring personal development leadership program. In the corporate world, I worked as the executive assistant to the chairman of a multi-million dollar consulting firm, event planner at an international hotel corporation, and a corporate sales manager for several hotel chains. B.A. in public relations/journalism – received from Northern Illinois University. Active member of the National Speakers Association (NSA) and the National Association of Professional Organizers (NAPO). My husband and I live in Chicago.